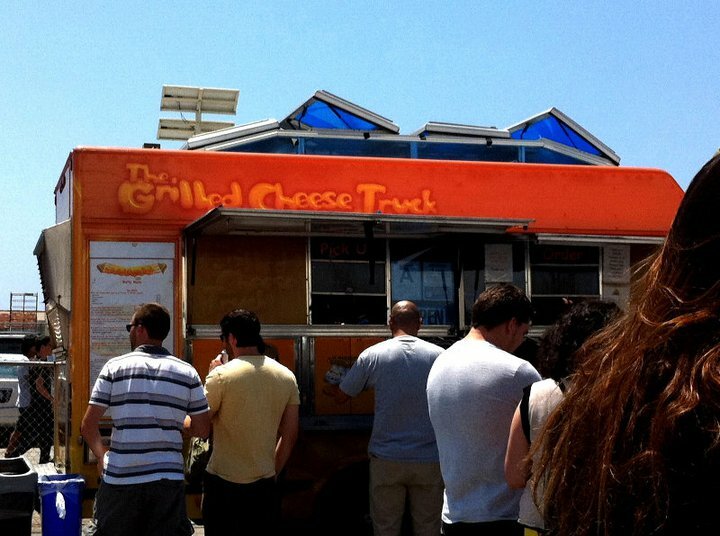 & the food trucks in los angeles . . .
so i happily & patiently waited for ~30min in line, under the sun, without a hat!
. . . including fritos!?!? 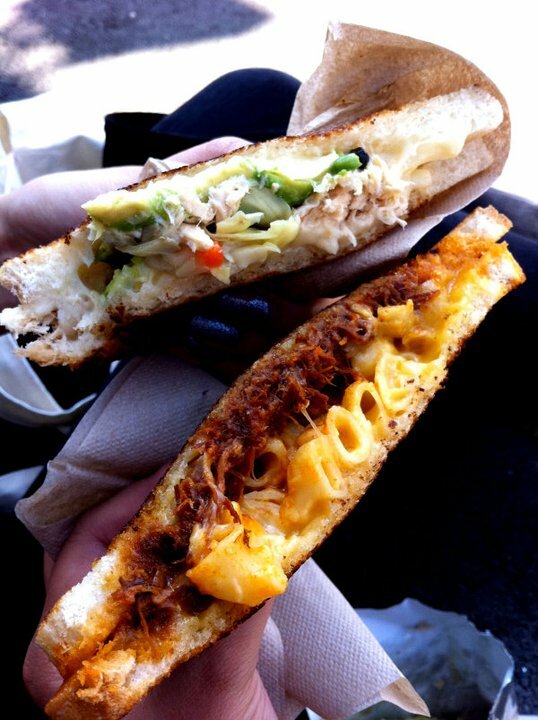 you get two 'triangles' of sandwiches so you can easily share with a friend to try more! OMG my hubby is obsessed with grilled cheese sandwiches! He would just die, if he could get a bite of that cheesy mac and rib! omg! he should definitely try this one!!! so...........good.....................! hahaha!